Arthur Ashe holds his trophy for the U.S. Open singles tennis championship as he stands arm-in-arm with his father, Arthur Ashe Sr., who fights back tears following his son's victory at Forest Hills, N.Y., Sept. 9, 1968. The younger Ashe defeated Holland's Tom Okker in five sets. Raymond Arsenault is the author of a new, extensive biography: Arthur Ashe: A Life. He says that 1968 was the start of a new chapter for Ashe. "Sixty-eight really begins his life as the Arthur Ashe that we know," Arsenault says. "He did great things before 1968, was one of the greatest players in the world already. But as a human being, as someone who transcended sports, it began in '68." 1968 was a traumatic, turbulent year. Martin Luther King Jr and Robert F. Kennedy had been assassinated in the spring. Protests against the Vietnam War were escalating. The Black Power movement had taken off. Later in the year, shocked viewers watched their televisions as the chaos that was the Democratic National Convention unfolded in Chicago, and police beat demonstrators in the street. Ashe Sr., an innately conservative man, had warned Ashe Jr. to "stay away from that civil rights mess"— and his son obeyed for a time. But as Ashe Jr. grew older, he began to speak out about black athletes' responsibility to their communities. "He was never an agitator," Ray Arsenault explains. "He was very unemotional in his advocacy and his activism, and he was absolutely determined to have an impact on the broader world." After heart problems forced his retirement in 1980 (heart disease ran in his family), Ashe wrote several books and op-eds about athletes and race. He pressed for the dismantling of apartheid in South Africa, and defended the rights of Haitian refugees. He started tennis clinics for inner-city children in the United States and abroad. He was an inspiration for fellow athletes: When Yannick Noah won the French Open in 1983, and Ashe interviewed him courtside for ABC, it was actually the second time they'd met. Noah said Ashe had given him a racket during a clinic in Noah's hometown of Yaoundé, Cameroon, when Noah was 11. Today he proudly cites Ashe as a role model, for tennis and for social justice issues, as did later champions James Blake and Serena Williams. Tennis brought him to the world's attention, but Ashe was far bigger than tennis now. He was so admired for his social justice activism that when Nelson Mandela, newly-released from a 27 year-long prison sentence in South Africa, made a triumphal visit to the United States, he was asked if there was anyone in particular he wanted to meet, says Ray Arsenault. Mandela responded immediately. "He said 'the first person I want to meet is Arthur Ashe.' " Mandela knew that Ashe had been one of the earliest celebrities that fought to have apartheid dismantled. The two met, and they enjoyed a friendship that lasted for the remainder of Ashe's life. His busy time as an author, lecturer, op-ed writer and social activist began to slow in the late 1980s. After his hand and arm went limp during a family vacation, Ashe saw doctors who worried about a possible brain tumor. Exploratory surgery revealed something else, and four years later he announced to a packed room of stunned reporters that he had AIDS. "It was transmitted through a blood transfusion after one of my open-heart bypass operations," Ashe told them, as his ashen wife, Jeanne, stood by his side. Ashe feared he'd be shunned for having this disease, but he was embraced by the sports and medical communities, and by families who themselves had loved ones who'd contracted AIDS. Wanting to remove the stigma from the disease and demystify it, Ashe added AIDS to his social justice portfolio, lectured about it frequently, and established the Arthur Ashe Foundation for the Defeat of AIDS. He continued working, advocating for the causes he cared for right up until his last days. 'He's literally on his death bed," biographer Ray Arsenault says, "he can barely breathe. Yet he asked them to call the new president, Bill Clinton, and ask him to appoint a really strong civil rights advocate for attorney general." Arthur Robert Ashe Jr. died on Feb. 6, 1993, of AIDS-related pneumonia. He was 49 years old. Since that time, dozens of memorials have been created in his honor. One of them is Arthur Ashe Stadium, where the U.S. Open has been played since 1997. Now, if you were watching men's singles 50 years ago, you would have seen Arthur Ashe become the only African-American man to win the U.S. Open. Karen Grigsby Bates of our Code Switch team reports on a player who grew much larger than tennis. KAREN GRIGSBY BATES, BYLINE: Back in 1968 at the U.S. Open, pretty much everything on the court was white except Arthur Ashe. UNIDENTIFIED ANNOUNCER: Arthur Ashe 15 days ago won the National Amateur title in Boston. Now he's trying to win the Open. UNIDENTIFIED ANNOUNCER: And his first of what I'm sure will be many aces. BATES: Ashe and his powerful serve would go on to defeat Tom Okker of the Netherlands. He was released from the Army after two years as a data processor, and former Lieutenant Arthur Ashe Jr. soon turned pro. Raymond Arsenault, author of the new biography "Arthur Ashe: A Life," says 1968 was a watershed for Ashe. RAYMOND ARSENAULT: He did great things before 1968, was one of the greatest players in the world already. But as a human being, as someone who transcended sports, it begins in '68. BATES: 1968 was a tumultuous year. Martin Luther King Jr. and Robert Kennedy had been assassinated. Protests against the Vietnam War had escalated. 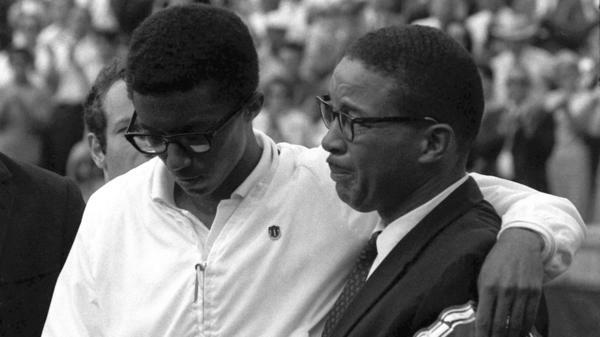 Early on, Arthur Ashe Sr. had warned his son to, quote, "stay away from that civil rights mess." And for a time, Arthur Jr. did. But he began to speak out about black athletes' responsibility to their communities, and he criticized the war that he said was costing so many young black and brown men their lives. Here's Ray Arsenault. ARSENAULT: I mean, he was never an agitator. He was very unemotional in his advocacy and his activism. But he was absolutely determined to have an impact on the broader world. ARSENAULT: He said, the first person I want to meet is Arthur Ashe. BATES: Their friendship would last for the remainder of Ashe's life. His busy life as an author, lecturer, op-ed writer and social activist began to slow in the late '80s when Ashe had surgery for a suspected brain tumor. Four years later, he made this pained announcement to stunned reporters. ARTHUR ASHE: I have known since the time of my brain operation in September 1988 that I have AIDS. It was transmitted through a blood transfusion after one of my open-heart bypass operations. BATES: Far from the shunning he feared, though, Ashe was embraced as he added AIDS advocacy to his social justice portfolio. Even in his last days Ashe persisted. ARSENAULT: You know, he's literally on his deathbed. And he asked them to call the new president, you know, Bill Clinton, and to make sure that he appointed a really strong civil rights advocate for attorney general. BATES: Arthur Robert Ashe Jr. died on February 6, 1993, of AIDS-related pneumonia. He was 49 years old. Since that time, many memorials have been erected in his honor, including Arthur Ashe Stadium, where the U.S. Open has been played since 1997. 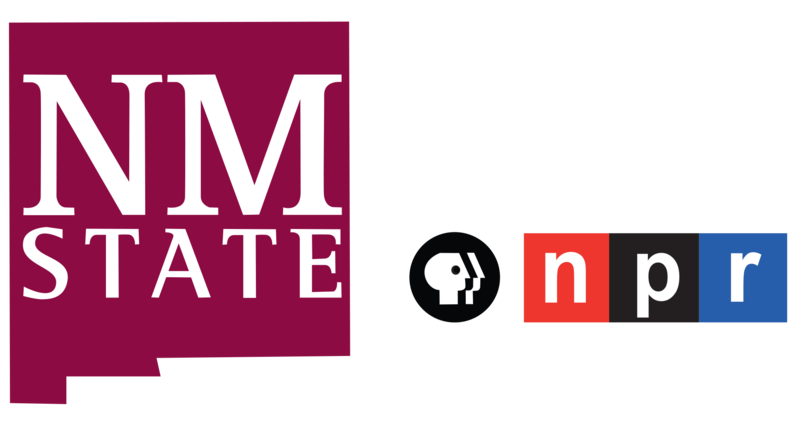 Karen Grigsby Bates, NPR News. (SOUNDBITE OF YAYA'S "ROADS")[POST BROADCAST CORRECTION:In a previous audio version of this report, we incorrectly said that the tennis balls used at the 1968 U.S. Open were yellow. In fact, they were white.] Transcript provided by NPR, Copyright NPR.